Ri’saad runs a caravan route from Markarth to Whiterun. He always sets up camp outside Whiterun and J’Zhirr has never seen him inside the city. 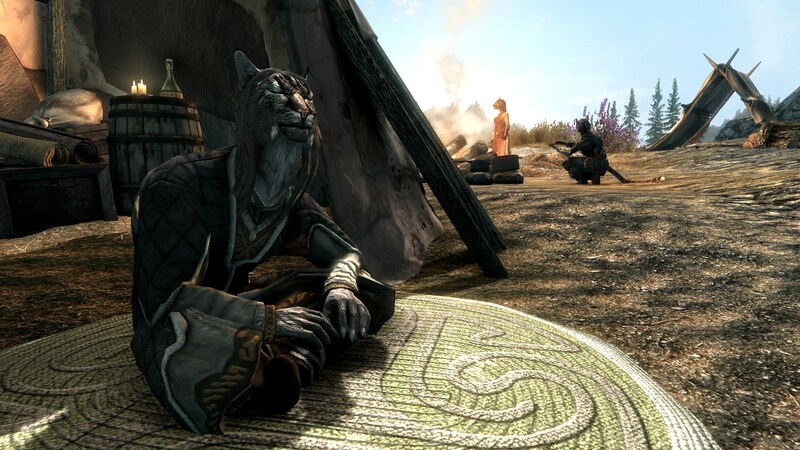 Some days, J’Zhirr finds him sitting at the entrance of his tent, warming himself in the afternoon sun.